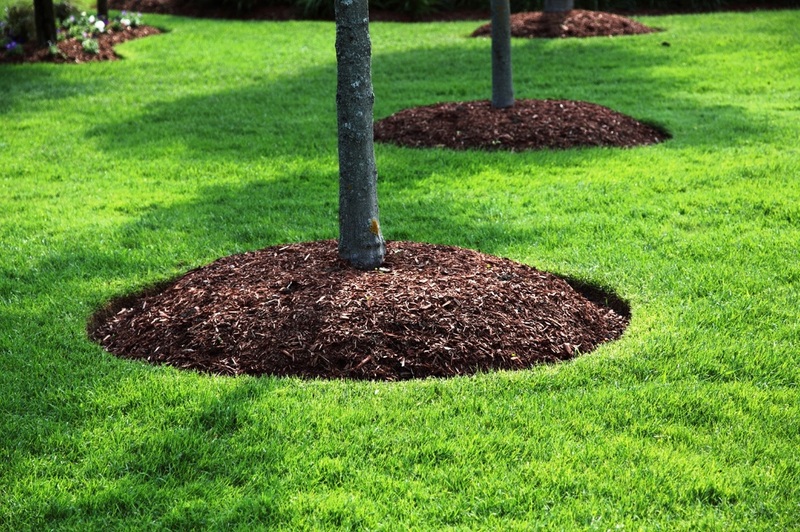 Adding mulch to the base of your trees is crucial for their health. Mulch to trees is like clothing to humans. It protects a trees roots from the dry hot sun as well as protects them from the harsh cold winter months. As you can see in the photo above, mulch also gives trees with a very pleasant and appealing look. Here is an image that gives guidelines of how we provide mulch. CALL US FOR TIPS ON MULCHING OR HAVE US COME OUT AND DO IT FOR YOU.